The band mainly plays heavy music with both high&low shouts, but unlike typical metal sounds, we have blended electronic beats and clean singing to our brutal tunes. The audacious and unique fusion of heavy music and various electronic sounds produced by the keyboard had facinated many audiences. Spending times searching for a clean vocalist, So (ex. Bombreligion), had joining our band in the spring of 2009 as our 6th member. Clean/Shout Vo. & Prog.-So, Shout Vo. & Key.-Keisuke, Vo. & Gt.-sxun, Gt.-Taiki, Ba.-MA$HU, and Dr.-Tomonori. 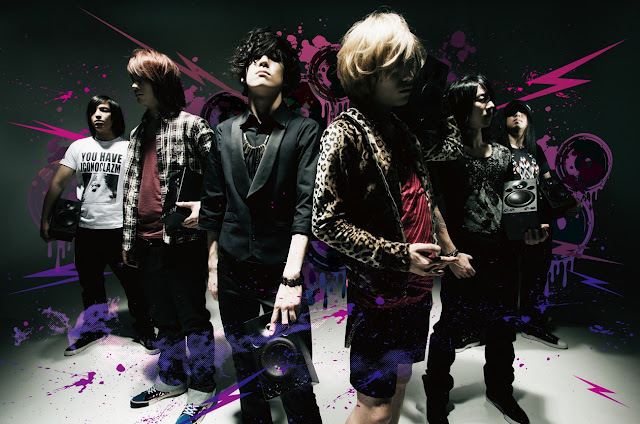 The members Fear, and Loathing in Las Vegas is still young with an avg. age of 19.6 years old, and as a band, we aren’t as yet experienced, but we are willing to have many people listen to our songs and hope to compete with other great bands! !